Flatlock SHS can be worn for sporty activities as well as leisure-wear, combining two in one style. Faltlock SHS is a built-in pocketed shelf bra with COOLMAX® ACTIVE fabric in pockets. 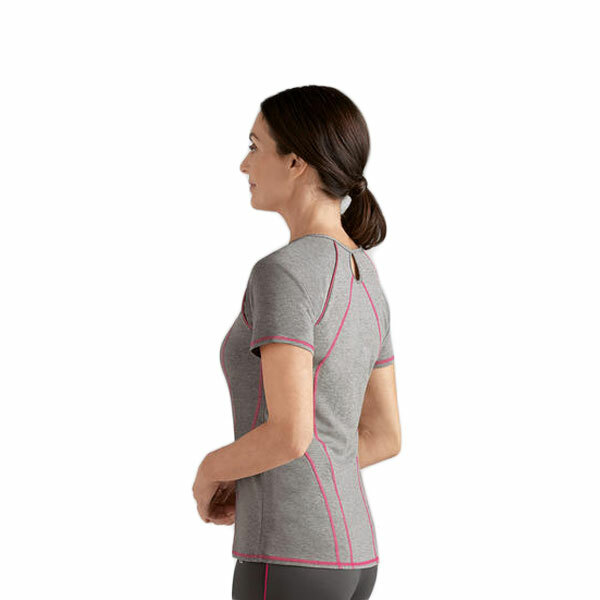 With pink flatlock seams, this activewear gives you a trendy and feminine look with softer handfeel than cotton. Having Flatlock SHS, your workout wear collection will get a stylish addition, and you can easily mix and match this Flatlock SHS activewear with all other active styles. Flatlock SHS gives you a very stylish look when you work out. This activewear can easily be worn with other active wear styles without any hassle. This activewear is made with very soft fabric that can keep your skin quite comfortable and less irritating with perspiration during the work-out.